Where is the ITSM Industry Going? Navvia, a company that helps organisations to design, improve, and manage their IT service management (ITSM) processes, revealed the results of its ninth annual ITSM Industry Survey earlier this month. With respondents from 17 countries, 14 job functions, and 16 industry sectors. So what did the respondents say? The results were released in a webinar, during which customer service luminary Roy Atkinson and I discussed their significance and meaning, which is now available on demand here. My thoughts are included after the data in each section below. 69% of the respondents report VP level or higher support for their ITSM program, with only 5% stating that they have no support. 72% of the respondents have a dedicated ITSM organisation, with 9% stating that they have no resources allocated for ITSM. 52% had conducted an ITSM assessment/benchmark within the last 18 months, with 43% of those that have using a third-party professional services firm to do so. 63% of respondents have a documented ITSM roadmap. ITSM needs investment so it’s unsurprising that such senior support is present, especially as approval-to-spend goes higher up the organisational stack post-2008 financial crisis. The 69% for VP level and above support is also very close to the 72% that have a dedicated ITSM organisation – I imagine that these two figures are connected – you get a dedicated ITSM organisation from obtaining and keeping higher-level support. The 52% who have conducted an ITSM assessment or benchmark is a similar level to last year and I hope that it is done not as a snapshot (either “look how good we are” or to support calls for greater investment in ITSM) but instead as a platform for ongoing improvement. That 63% of respondents have a documented ITSM roadmap is extremely encouraging, it’s twice what I would have personally guestimated it to be. 86% of respondents are using a recognised process framework for ITSM – 90% of these use ITIL (the ITSM best practice framework formerly known as the IT Infrastructure Library) V3 or 2011, and another 5% ITIL V2. Only 26% of respondents have defined, implemented, and enforce governance – down slightly from 29% in last year’s survey. 45% of the respondents have actionable metrics, with 17% having no metrics at all. No surprises with the high ITIL uptake, although I remain cautious about those that say they use V3 or 2011 – my gut tells me that, while employees may have taken newer exams, many IT organisations still focus on the core processes of ITIL V2 (and still miss the real reason for ITIL – delivering IT as a service). 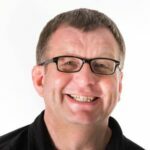 This blog was originally written for Computer World UK. You can check out the original version here.